Everyone know that the Pagani Huayra is a very expensive hypercar, but now I advice you to take a seat and make a deep breath because the guys at The Supercar Kids managed to obtain a copy of the options list and if you think that with a starting price of 1 million euros everything is included, well you're wrong! Okay, let's start with the most interesting and standard things that you get with the car, such as the carbon ceramic brakes that are required if you want to unleash the full power of the 6.0L V12 AMG engine.. then what we have, a titanium exhaust and the front lifting system, a must if you want to use the car in an urban area. 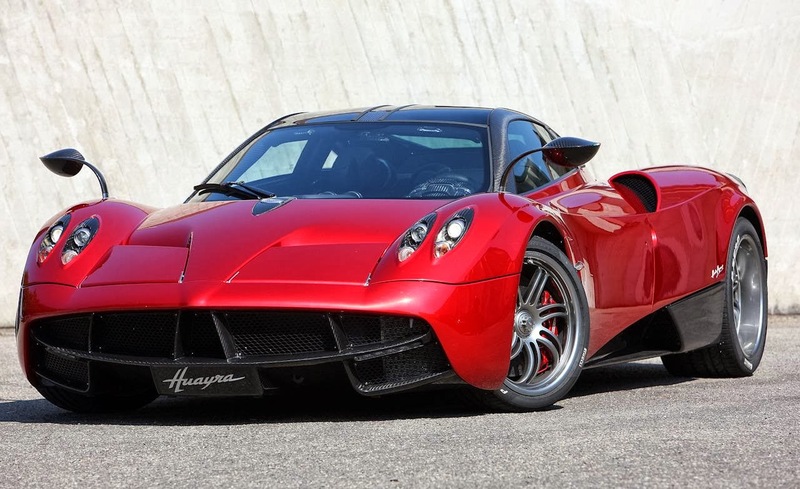 Anyway, if you want to make your Huayra more unique and equipped, you will find out that the final price may bumps up quite a lot, so let's start with the most expensive option which raises the price of 112.500€ if you want your Huayra finished with a full naked carbon fibre bodywork. If you want to travel with your Huayra make sure to have luggages that could fit in the car, so go for the 14.950€ set of 7 Pagani luggages. 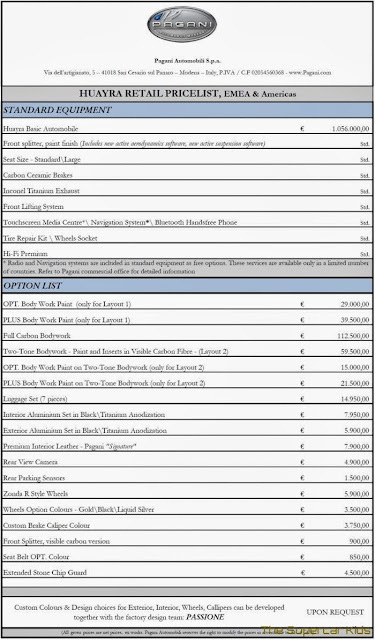 The options list continues and you can see everything below with amazement. The great thing about Pagani is that their factory is like a tailor shop, the attention to the details is outstanding and you can customize every single feature of your own car. 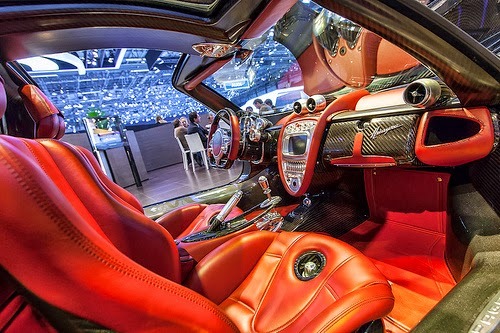 Can you customize a LaFerrari, a 918 Spyder or a P1 up to this level? I wouldn't be so sure. Oh, I almost forgot to say that; if you're still looking for it, the carbotitanium cup holder is not on the list. I know, we're all disappointed about that. 2000hp Ford GT hits 278 mph! The 599 GTO does a Launch Control! The worst exit of a parking.. ever! Ferrari: a new model to come?